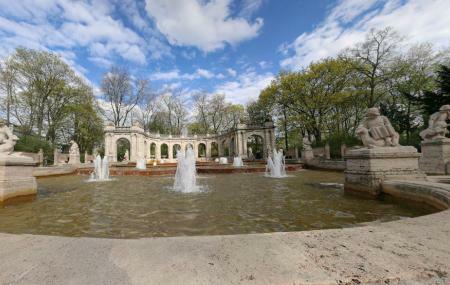 The Marchenbrunnen (simply the fountain of fairy tales) is located in the Volkspark Friedrichshain in Berlin. The authorities of Berlin issued the artistic entrance to the National Park Friedrichshain. The fountain of fairy tales was commissioned by the National Park and later designed by Ludwig Hoffmann. Hoffmann put forward the idea of a fountain in the park to describe fairy tales. Hoffmann describes this in his memoirs. How popular is Fountain Of Fairytales? People normally club together Warschauer Strasse and Neptunbrunnen while planning their visit to Fountain Of Fairytales. A lovely fairy tale themed fountain, worth a visit if you're in the area and part of the volkspark which is great for a visit in nice weather. I love it here and the whole park, so just pick a sunny Sunday afternoon and take your time. A nice place to sit on a sunny day. Good walking trail.